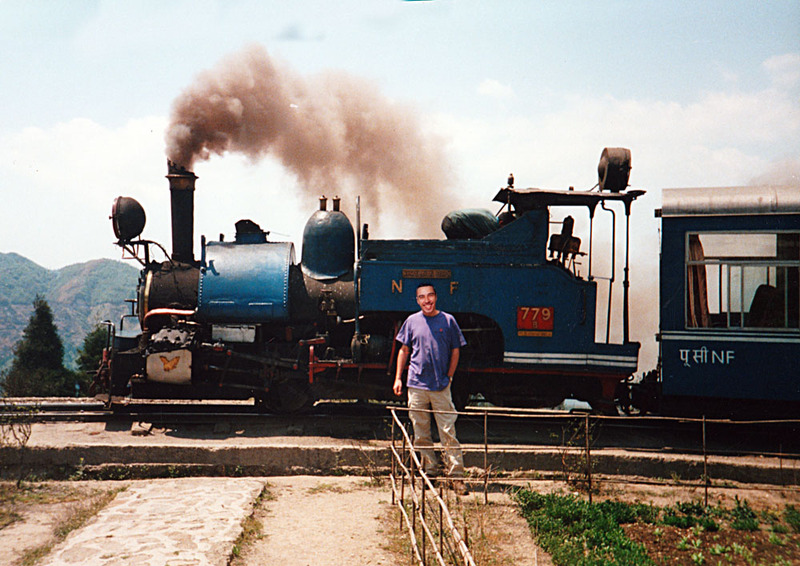 Darjeeling is well known as the home of the Darjeeling Himalayan Railway (DHR) or the 'Toy Train' as the locals refer to it. The line runs for approximately 55 miles from New Jalpaiguri to Darjeeling, climbing over 7000 feet in the process. 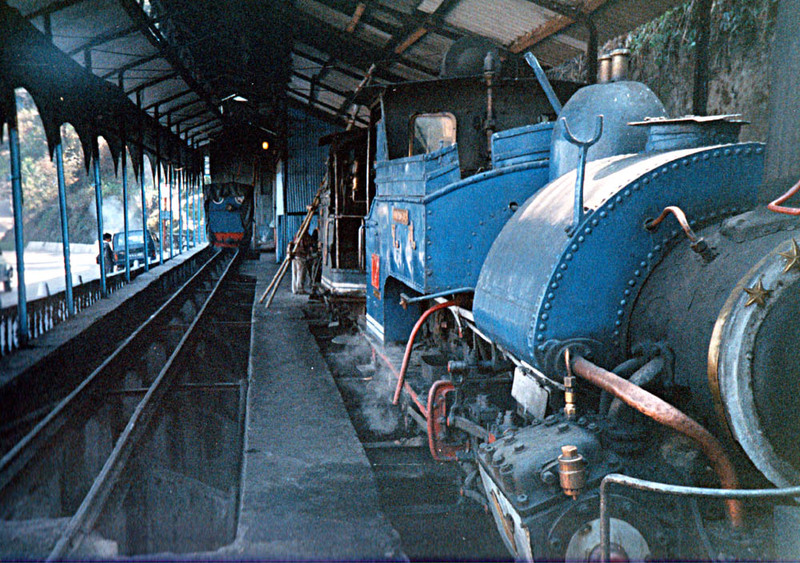 Darjeeling 'Toy Trains' in the shed at Ghum - these 'B' Class locos were still in regular service when photographed in 2002. We visited in 2002 and at the time, it was one of the few places in the world where the Series 1 Landrover was still in daily use on a large scale. The landrovers were imported back in the 1950's and 1960's to work on the tea plantations and despite the climate and more or less constant hill-climbing were still going strong albeit with all the paintwork missing. 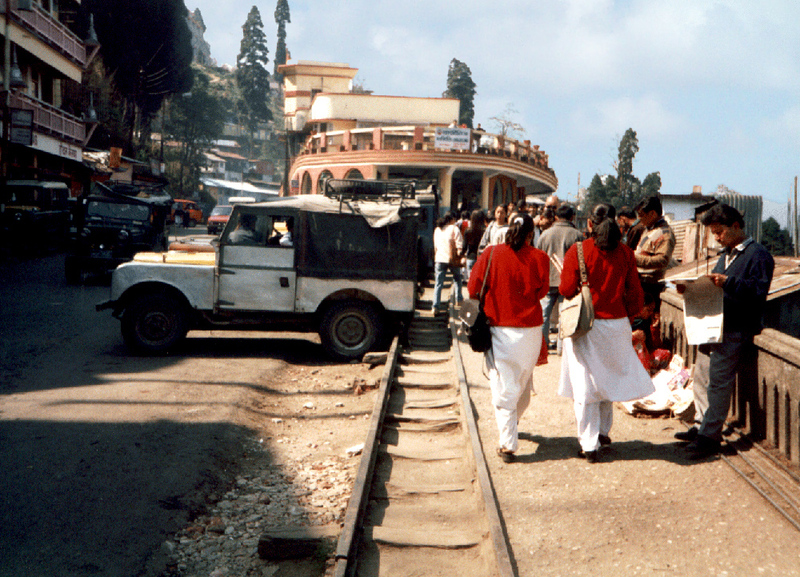 The end of the line at Darjeeling. The freight track in the foreground ran on into the marketplace. 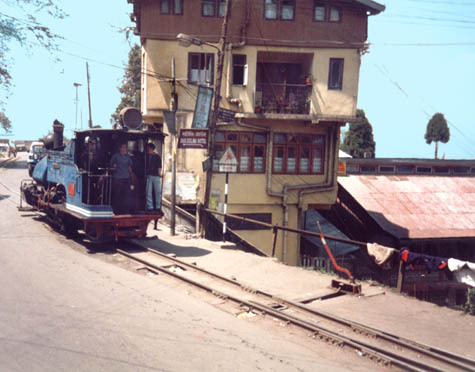 The terminus of the Darjeeling Himalyan Railway is that pink building in the background that looks like the bottom tier of a wedding cake. In common with Blaenavon, it's a world heritage site! Limited clearance - the line runs close to houses and shops through the villages and the train sometimes has to wait while a table is folded up or a sack of rice moved out of the way. The line zig-zags back and forth over the road which leads from the plains at Siliguri to the town of Darjeeling. 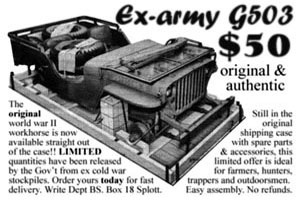 Can you still buy a 50 dollar jeep in a case?